Prague, September 29, 2011 – Heads of 19 partner institutions and organisations specialised in the subject of totalitarian history from 13 EU member states will sign the founding document of the Platform of European Memory and Conscience in Prague on 14 October, 2011. The ceremony, which will take place in the presence of Prime minister Petr Nečas and Vice-President of the European Parliament László Tőkés, is an accompanying event of the summit of the Prime ministers of theVisegrad group. The Platform of European Memory and Conscience received further endorsement from the General Affairs and External Relations Council duringthe Czech Presidency of the EU on 15 June, 2009, from the Justice and Home Affairs Council during the Hungarian Presidency of the EU on 9-10 June, 2011 and in the Warsaw Declaration adopted by the Justice and Home Affairs Council during the Polish Presidency of the EU on 23 August, 2011. The Constituting meeting of the Platform of European Memory and Conscience will be hosted by the Institute for the Study of Totalitarian Regimes. The solemn signing of the founding document will take place on 14 October, 2011 at 2.30 p.m. in the Lichtenstein Palace in Prague as an accompanying event of the summit of the Prime ministers of the Visegrad group. The ceremony will be opened by Mr Petr Nečas, Prime minister of the Czech Republic and Mr László Tőkés, Vice-President of the European Parliament and leader of the democratic revolution of 1989 in Romania. The Platform of European Memory and Conscience brings together governmental and non-governmental institutions and organisations active in research, documentation, awareness raising and education about totalitarian regimes. 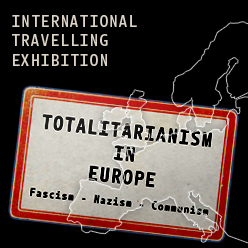 The work of the Platform will initially encompass meetings and conferences, several publications, a survey, a travelling exhibition on totalitarianism in Europe and an award to personalities who have set a mark in resisting and working against totalitarianism in Europe. The founding members, who are also signing an ethics code, extend an invitation to like-minded institutions and organisations from further European countries to join them in their endeavour. – to contribute toward deepening the integration of all European citizens, furthering the respect and understanding of democracy, human rights, and the rule of law in all of Europe with the goal of avoiding future threats to democracy. 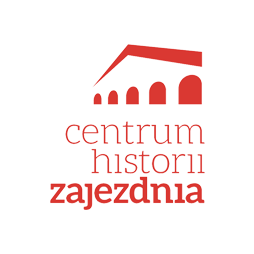 The Constituting meeting and initial work of the Platform of European Memory and Conscience have been kindly supported by a grant from the International Visegrad Fund .